The Most Natural Open Baby Feeding Cup!!! LOVI 360 cup helps your baby to make transition to glass like drinking in just one step! 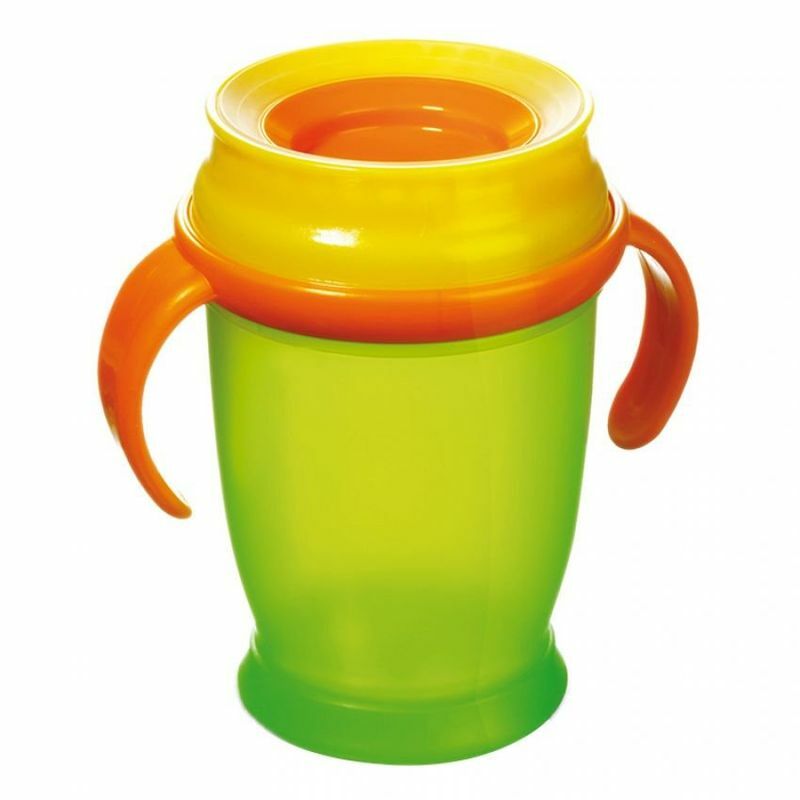 The BPA free 360 cup has no spout, so the child can drink from anywhere around the cup. The soft, patented valve, made of silicone, has silver granules embedded to kill 99% bacteria (E.Coli and MRSA) within 24 hrs. of use. The 360 cup teaches your baby glass like drinking in just one step, without spills and bacteria. The LOVI 360 cup is rubber coated to prevent edges from cutting. It has wide mouth and only 3 components making it easy to clean. The 360 cup provides maximum protection to your baby with minimum maintenance. Independently tested. Soft silicone valve is easy on a child either teething or with first teeth. Valve embedded with silver granules for 99% bacterial protection. Rounded body covered with rubber so there no hard edges to cut the baby. Wide base provides stability so the cup does not easily tumble over. Profiled handles for easy grip. Material: polypropylene Body, silicone valve. Independent Drinking: No Spout, No Spills, No Bacteria. Profiled Handles and cap: Removable once child is older. 1x250 ml cup, 1xcollar with valve, 1xcup cover, 1easy grip handle.